Deb Powers is an avid urban gardener who works with a community collective to promote sustainable urban agriculture and build partnerships between local business owners and community organizations. Powers serves as a social media and marketing consultant for local non-profits and businesses, and has assisted in creating career pathways for people returning to the workplace. Shea butter, a nourishing moisturizer derived from the seeds of the African tree Vitellaria paradoxa, whips up into a light, creamy skin concoction with the texture of whipped cream. When you make your own whipped shea butter cream, you avoid the chemical stabilizers and preservatives found in commercial shea butter creams. You can also customize homemade body butter with oils and botanical extracts chosen for your skin's needs. Whip shea butter with almond and avocado oil to nourish dry skin, for example, or add honey to take advantage of its antimicrobial qualities. The trick to whipping shea butter cream is maintaining the proper temperature throughout the process. Fill a saucepan with water and bring it to a simmer over a low heat. Place the smaller glass bowl into the simmering water. Add shea butter to the bowl. Heat until the shea butter is liquid. 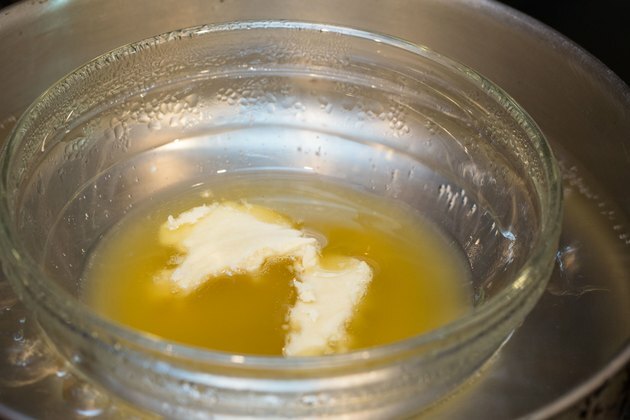 Stir oils into the melted shea butter, continuing to heat the mixture over low heat for 10 minutes. Fill the large bowl with ice cubes. 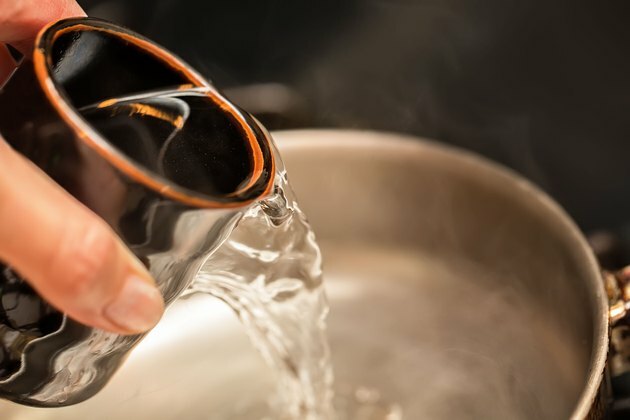 Remove the first bowl from the pan of hot water and allow it to cool slightly before placing it into the bowl of ice. Stir in essential oils and cornstarch. 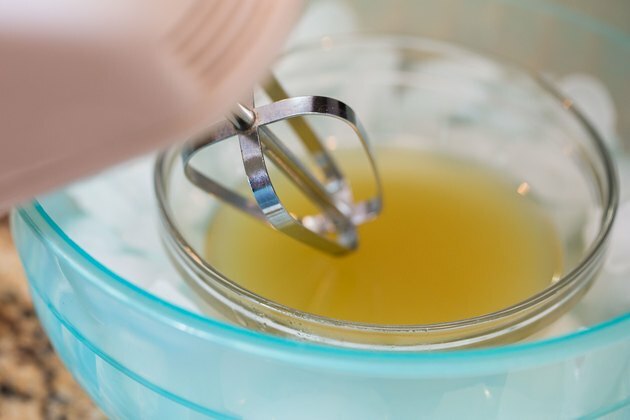 Beat the shea butter and oil mixture on high speed with an electric mixer. Continue whipping as the mixture cools and thickens -- about 15 to 30 minutes. 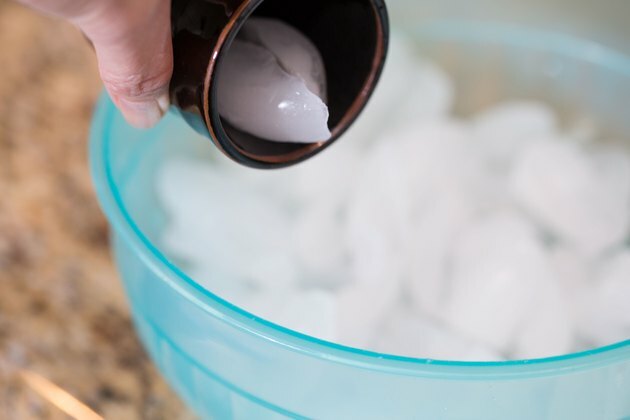 Add more ice to the bowl if necessary to keep the mixture chilled. 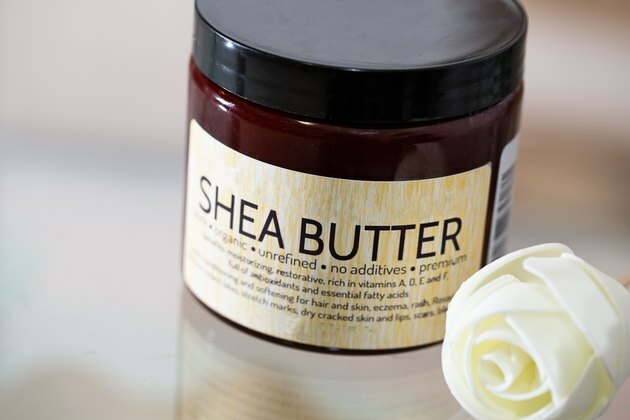 Stop beating the shea butter when it reaches the consistency of whipped cream. Spoon it into clean jars. Store the whipped shea butter cream in the refrigerator for up to three months. Combine two or more carrier oils, such as avocado and almond oil, to draw on the benefits of each individual oil. Place the shea butter mixture in the freezer for 10 to 15 minutes in between mixing if the mixture becomes too warm. 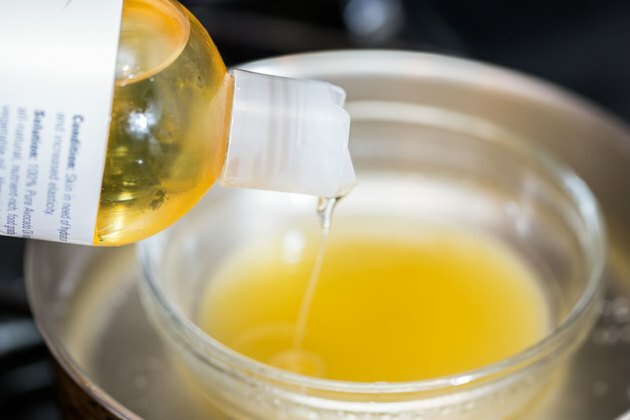 Add a few drops of vitamin E oil as a preservative to extend the shelf life of the shea butter cream.